His Eminence Cardinal Angelo Amato, S.D.B., prefect of the Congregation for the Causes of Saints, met with Pope Francis on May 4, 2017. After this meeting, the Congregation promulgated, among others, the miracle attributed to the intercession of the Venerable Servant of God Mary of the Immaculate Conception (neé: Adelaide de Batz de Trenquelléon), founder of the Daughters of Mary Immaculate. She was born 10 June 1789 and died 10 January 1828. The miracle in question was the healing of Sister Michela Messina, FMI, that took place in Pallanza, in the Diocese of Novara. Adèle was born at the family estate in Feugarolles. When she was eight, her family fled France for Spain. She made her First Communion on flight in San Sebastian, Spain, in 1801. She received Confirmation in 1803, two years after her family returned to France. After founding the order, she remained very busy with its activities. She died in Agen. The Daughters of Mary Immaculate, also known as the Marianist Sisters, was founded on May 26, 1816, in Agen, France. They currently are in sixteen nations across five continents. 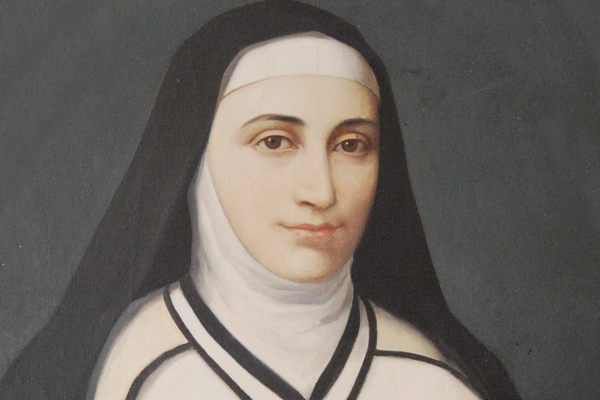 This is a very special time for the Marianist Family, which is celebrating the bicentennials of the foundation of the Daughters of Mary Immaculate and the Society of Mary (1817).